This will be a post that goes a bit into biology even though it’ll include photos and experience from my hikes. It’s about a fact that places I knew (know) are changing before my eyes, and might as well change forever, voluntarily or not. 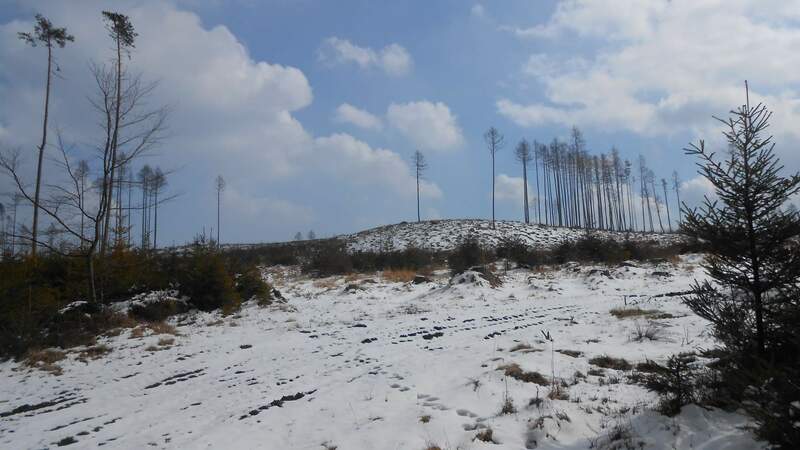 Since 18th century, spruce forests started to dominate central Europe. The lumber they produce has wide use and they grow fast in the first 20-25 years. Yet, they have several vulnerabilities, the main one in normal conditions is shallow root system. Spruces here in central Europe have much more problems. Easy to take root, they started to dominate the landscape, but pollution weakened them, making them easy target for bark beetles. Combined with the larger frequency of dry years in the last 10 years, the shallow roots mean the trees are becoming dry due to lack of moisture and even easier target for parasites. And to top them off (literally, in the end), the increasing amount of strong winds that can uproot the weakened trees or snap them in half. The most memorable of many was the windy night in late 2004. 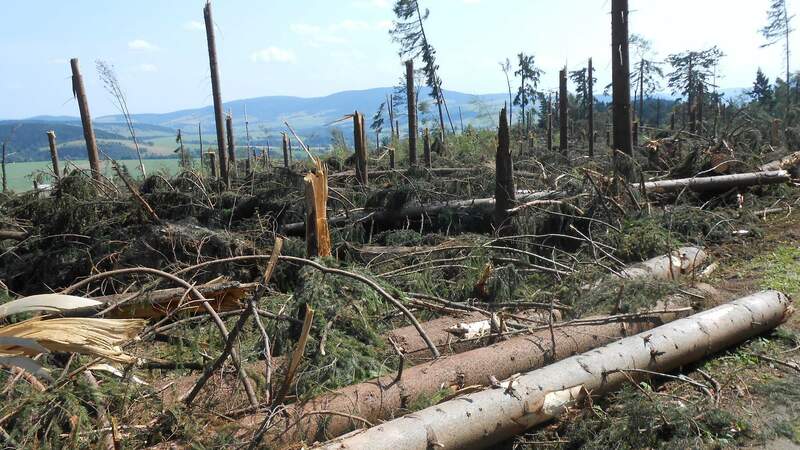 It hit several places, but the devastation in Slovakian High Tatras was most prominent with strip two to five kilometers wide and over fifty kilometers long. The place changed forever, once shady forests below the hill giving space to low plants. What survived the night in 2004 was not much and most of it was taken down by the following two or three nights that came in 2010s (the second big one was in 2014, almost exactly 10 years later, with several minor in other years). 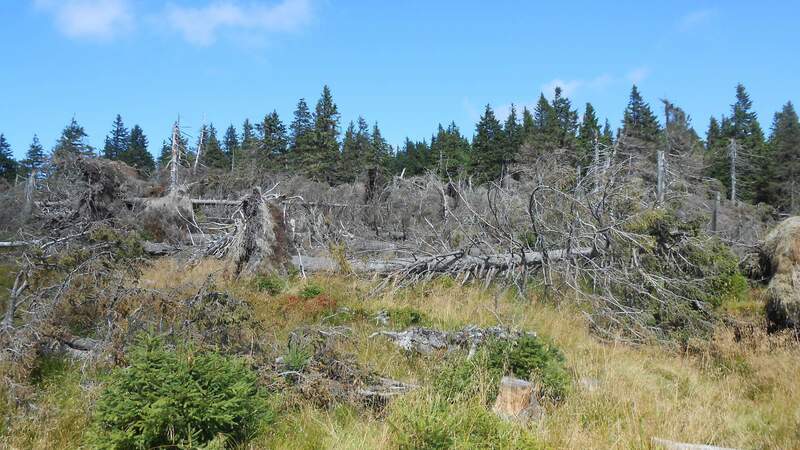 The events, in turn, made the bark beetle infestation even worse as they could use the massive amount of fallen trees to breed even more and make the forests vulnerable for disasters that did not need much time to come. The problems are even worse in east Czech republic, historically industrial area with pollution problems (even though the situation is getting better). As I mentioned recently, in the last hike I was crossing a place that was formerly spruce forest. Even three years after the 2015 wind, not all the fallen trees were taken away. Infrastructure suffers in turn as the village roads were not planned to carry several trucks with loads of wood every day for months, let alone years. Seeds of other trees are on short supply as the forest owners try to replace the fallen trees with something that would have better chances. Sometimes, more trees are destroyed before the results of one calamity are dealt with. I can say for sure that hikes when I’d not hear at least distant sounds of chain saw are getting quite rare. Even though making marked trails passable is often done just after clearing the roads, there were times when a trail was closed for three to four months after one windy day. To make it worse, some places are hard to reach and even clearing the path is complicated, let alone helping the land to recover. The options to get heavy trucks to elevation around 1300 meters when the villages below are around 500 is quite complicated, as the places have roads that can carry an off-road vehicle or snowmobile at most and are used primarily by cyclists. A few years ago, spruces made up to 90% of trees. 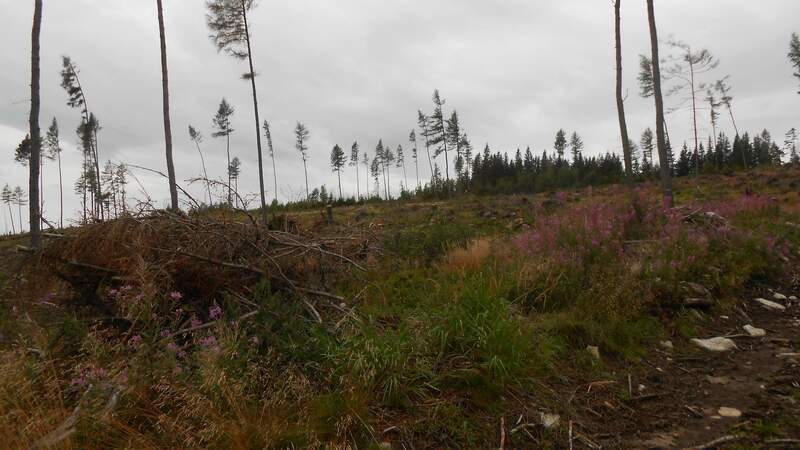 The ratio in cultivated areas is decreasing with each harsh wind (I believe that most of the times it was somewhere between 100 and 200 km/h) as its obvious that re-planting spruces would most likely be wasted effort. This entry was posted in Hiking, Photography and tagged mountains, nature, photo, weather. Bookmark the permalink.